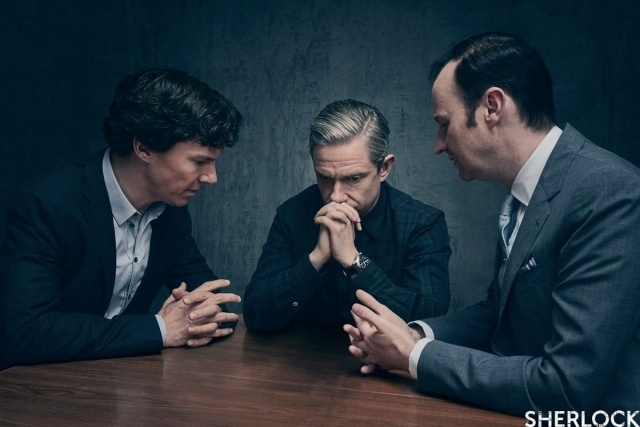 “Sherlock” season 5 is very much anticipated, however, there is still no confirmation about its production. It has been more than a year since season 4 concluded, is there a chance that it will be back? Showrunners Mark Gatiss and Steven Moffat admitted that BBC has not renewed “Sherlock” season 5 yet but they said that they are not closing their doors for another run if there will be a new order for the series. The pair also revealed that one reason why the show is not in production until now was their commitment to other projects like the “Dracula” series. "We're certainly not ruling it out. We're shooting 'Dracula' next year, that's a two or three-year process to get that from script to screen,” Gatiss said during his “On the Line” interview last year. “Even if we then started planning 'Sherlock' season 5 that would be another two years, so it's a way off." The lead actors of “Sherlock” season 5 that include Benedict Cumberbatch and Martin Freeman are also busy with other acting gigs so it is clear that the work schedules of these celebrities are another issue. They have to match their timetable so they can film for their detective-themed show. Although the showrunners already said that they could still do “Sherlock” season 5 but the bad news is that nobody knows when they will finally work on it. Also, BBC has to renew the show first so that everyone involved in its production could prepare and have things set off from there. Assuming that “Sherlock” season 5 has been renewed, there is no doubt that Sherlock Holmes (Benedict Cumberbatch) and John Watson (Martin Freeman) are coming back to reprise their roles. If one of them backs out, the character would surely remain but the actor would be replaced. On the other hand, co-showrunner Mark Gatiss will surely return as Mycroft Holmes. For the next seasons after the fourth, he said he would call it Chapter Two where the two leads are consciously living the myth and battling wrong-doers.” Moffat went on to say that whether they get chapter two, it will depend on Cumberbatch and Freeman. "Whether we ever get to Chapter Two - rather depends on our two stars. I'd be slightly surprised if we never made it again,” he told Digital Spy. “But I've been surprised before." Finally, “Sherlock” season 5 may still be released and the team could finally talk about the show once they finished their other projects. The showrunners mentioned that they will be free in 2 to 3 years so it is possible that the series would finally be confirmed sometime this year.